Your clients can mark their favorited images by clicking on the "heart" icon in their online gallery. 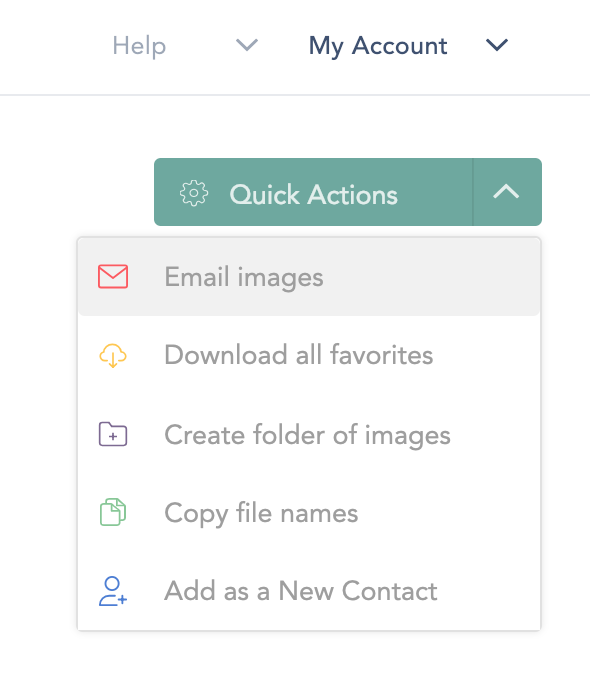 Unless you have email capture enabled, they will be prompted to enter their email address once, and after that they will always be able to come back and see their favorites on that device. To access favorites on a new device your clients simply enter their email address again and their previous favorites will load. To view which images were favorited by your clients, navigate to your Analytics. This can be done by clicking on the Collection, and then “Analytics” at the top right corner. Navigate to the Favorites section and you will see all galleries for that collection listed along with all favorites images. Click on the Quick Actions dropdown and you will have access to quickly share and/or download any selections!